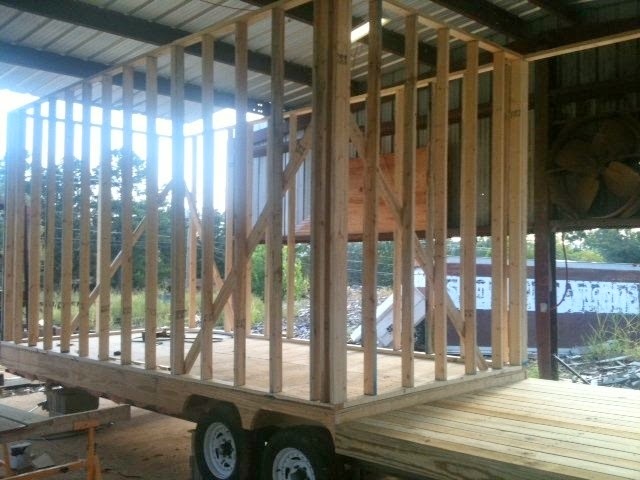 The house is built on a steel I-beam frame with two 6,000 lb axles. There's so much more I could share about Tonita and her "living large in a small space" life. Visit her beautiful blog Shabby Chic Tiny Retreat to see more photos and read about life in her fabulous tiny house. Nancy, Thanks so much for the feature on your great blog. I have followers that email me quite often to ask why I have not posted in months or wondering if I am even still alive. I try to respond to each email and want to say here... I am very much alive, thanks so much for peeking at my girl cave and sending me such wonderful comments and for checking in on me. I really appreciate that, really I do. I have a crazy busy life, work 7 days a week, and I am a terrible blogger who is VERY low tech. Not even sure I foresee keeping a computer in my future. I am happy that women have been inspired by my tiny retreat to dream about having a nook, cottage or some small place of enchantment for themselves. I want all your readers to know it is never to late to have a happy childhood. If you missed that when you were young - create one for yourself today. You can do it. Anything, really is possible. Many thanks sweet lady, and many blessings to you and your husband as you move forward with your sweet place of enchantment. Thank you, Tonita. It's been so much fun getting to know you and sharing your shabby chic wonderfulness here. Hugs. I love this, Nancy! Tonita's house is like a fantasy playhouse for adults :) The decor is lovely, and I especially love how she decked it out for Christmas. And what fantastic advice and inspiration in her comment about creating a happy childhood at any time in life. This post is simply wonderful in every way! I'm so glad you enjoyed seeing Tonita's very special house, Julie. Thanks for your very kind comment. I love all of it. Why are they illegal to live in . I rember when I was in hs and i took a friend home. She didn't want to be dropped off at her house but down the road. She lived in the smallest house i have ever seen with her family. Debby, because of their size and the fact that they're movable (built permanently on a frame with wheels), tiny houses are considered RV's in many communities. City residential codes often consider RV's to be "camping" and not permanent homes, and restrict them entirely or to short-term use only. For example, where we presently live an RV can only be used on a lot for 30 consecutive days, and then it must be removed from the lot. Our town also has building codes that a tiny house cannot meet. For instance, a new home cannot be smaller than 1,000 sq ft. if it's on a permanent foundation (one reason we're not going to build here). If it's a mobile home, nothing smaller than a double wide is acceptable. In some cities mobile homes may not be allowed at all. The best thing to do is look into the building and residential codes in the city where one hopes to live in a tiny house and make sure it meets the legal requirements before proceeding. Sames goes for insuring them. Folks should check with their insurance carrier to make sure they can be insured as a permanent residence. Thanks for your question. I'm glad you enjoyed Tonita's tiny house. The reading nook is something I'd like to have wherever I live, Anne. Not everyone can handle living in such a tiny space, that's for sure. Some people use them for guest houses or studios instead of full-time living. Thanks, Kim. The porch pig is pretty cute. I love all the vintage touches and the pure girly-ness of Tonita's tiny house. I don't think I could get Captain to go along with decorating our home like this. I do love it though and hope I can incorporate some of that uber feminine decor in my own private space one day. What a sweet small living paradise. So cute and love the chicken coop and storage shed. Thanks Nancy for sharing Tonita's feature with all of us. I love Tonita's tiny house, and the fact that she too believes that there are no rules in how we decorate a tiny house! I just finished reading "The Big Tiny" by Dee Williams (great read). She brings up the fact that living in a small or tiny home opens up opportunities to be more a part of a community. I love this. Instead of pulling into a garage, shutting the door, and staying inside not knowing your neighbors, small homes include using porches, patios, and yards as additional "rooms", inviting neighbors to say hello and come by often for a little visit. A visit to Tonita's home would be a joy! Thanks again so very much, Nancy, for this wonderful series! What a great series, Nancy! Tonita's tiny house is just beautiful! What a joy to visit, and see her lovely decor. What a charming and beautiful little house. I love it. LOL. Pat, now I"m curious what "he nearly had a cow" means. Oh my Tonitas tiny house is just darling! She has given it so much character. Must say that I giggled a little that her storage shed is bigger than her house. lol! Wondering if she has a husband. My hubby would go stark crazy in a tiny house. If it was just me, I could do it in a heart beat. Love her cute coop and her Christmas décor was wonderful! My situation is the same, Jann. 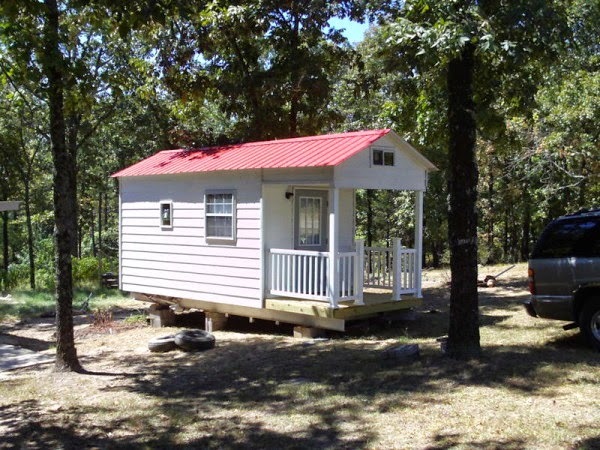 I could live in a tiny house, but doubt that my hubby would be happy in anything quite that small. We're thinking of something in the 400 - 500 sq ft size. With and outbuilding that will serve as studio space. What a great post. I was just enthralled by this tiny house! I'm glad you liked it, Laurel. Tonita's tiny house is extra special. I've seen this home before and it is adorable. 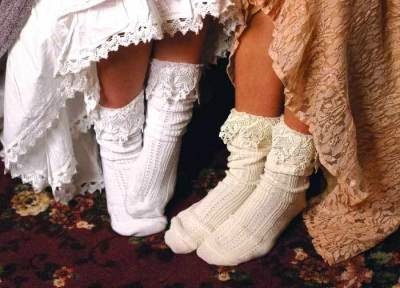 I also love she decorated it, so frilly and girly. One can't do that with a hub, at least mine won't. Maybe you;ll share this at my monthly Sunday's Best going on now! Thanks, Cathy. I've linked it up. Have a great week. What a lovely tiny cottage! It was very interesting to read all the thinking that went into building and decorating it. What a gorgeous place! Tonita really decked it out beautifully! I think so, too, Pam. Tonita is very creative. Thanks. What a cute house! I had never heard of a tiny home! I must say that the kitchen is absolutely adorable!!! Thank you for sharing this on the Art of Home-Making Mondays. I did so enjoy this 'tiny tour"! 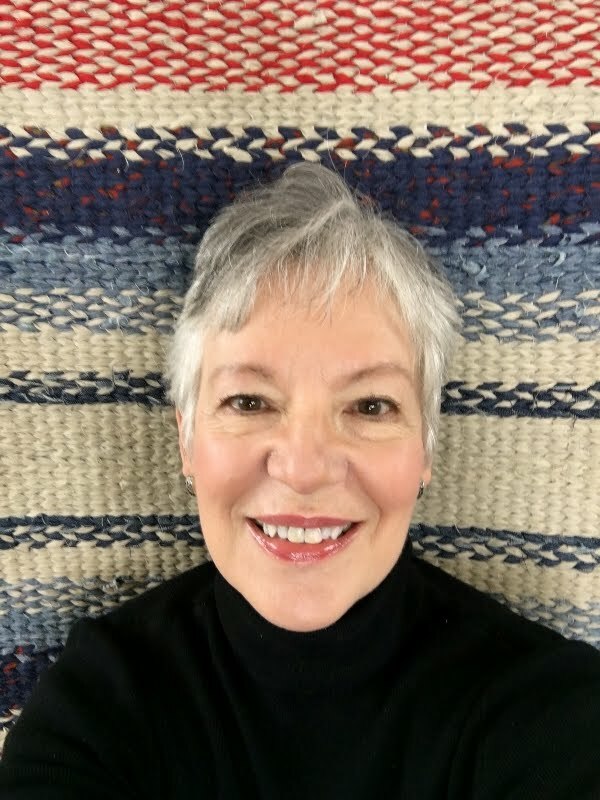 Love your story on your blog Nancy. Oh this is gorgeous! While I visited this great tour I felt I was walking by a 'fairy tail' house with all it's beauty. My girls had one that hubby built them not much bigger than this, lol! The decoration is exquisite and perfect. I adore her kitchen! Thanks for sharing, loved this tour. Oh, this is just fabulous! Thanks for sharing it! What a lovely series you are putting together Nancy. 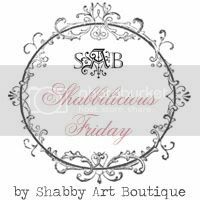 I adore Tonita's tiny home and I'm so glad you linked it up at Shabbilicious Friday this week. I'm delighted to be featuring it at tomorrow's party. I don't know how many times I've scrolled up and down on this post - I'm completely blown away !!! Just stunning - all the detail - amazing - thanks SO much for sharing ! It's a pretty amazing tiny house. I could have posted a bazillion photos, but I mean, how far can you go? When do you stop? Thanks for stopping by, Suzan, and have a great weekend. How adorable, I love all the detailing especially the kitchen, it's so gorgeous ! I am always looking at Tiny Houses but this is the prettiest by far, of any I have seen, I haven't actually seen one styled in shabby chic before either, a style I love. However I feel her having a large storage unit kind of defeats the purpose of living in a tiny house. Angela- Tonita here- owner of this tiny home. Thanks for your sweet comment about my tiny home decor. 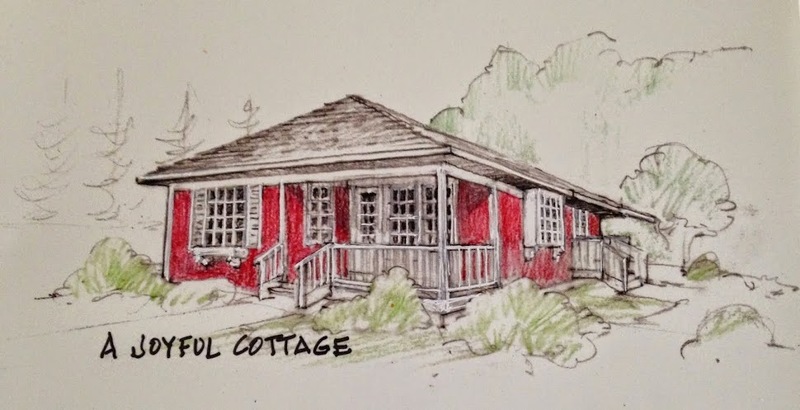 It is so nice of the Joyful Cottage Blog to showcase my tiny retreat. After seeing many tiny homes and trying on a few for size I would never ever be able to be comfortable or live in one without a back up storage unit(s)at the very least. I have no desire to ever become a minimalist and would get terribly bored not being able to change things up in such a TIGHT, TEENY WEENIE MINI space. My tiny home was only created to continue to give myself options. I enjoy shopping, collecting and filling my tiny home with new new found treasures that I rotate in and out. I change out the furniture, towels, fireplace, dishes and pictures as well as the little treasures on the shelves and in the nooks and crannies that serve no purpose but to create a smile. I think everyone has different reasons for owning a tiny home. I applaud those who choose to own 20 possessions but that would not work in my world. IT is about being a fun space for me, with no rules for it or it's purpose.